My name is Roger Fossum. 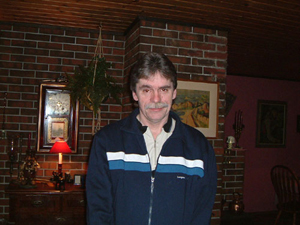 I'm born February 09, 1957 in Drammen, Buskerud County, Norway. I'm now living in Karmøy in Rogaland County. I've been searching for my ancestors as a hobby for many years. I have been professional since 1998, full-time since 2002. Without the help of the many people and organisations who have offered their skills and knowledge, my research would not have come as far as it has today. Acknowledgements. Jeanette Fossum b. May 19, 1980. Jan Roger Fossum b. January 24, 1994. Cathrine Fossum b. August 20, 1995.